Graphics – While very simplistic they have a certain charm about them. It almost looks like you’re staring at an old Atari 2600 cartridge with its simple shapes and small color palette. 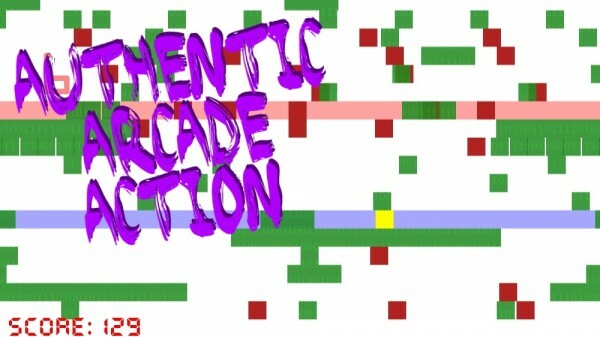 Soundtrack – The music is very retro-inspired with all the bleeps and bloops one would expect from old-styled games. What’s even better is the developer didn’t have just one song for every style of game, there’s specific music for each game played which provides much needed variety. Lots of variety – The first game involves collecting red paddles (streams of data) while avoiding black blocks of different sizes. But there are other games, each with varying colors. Corruption has players getting as many yellow paddles, Waypoint is more focused on timing. 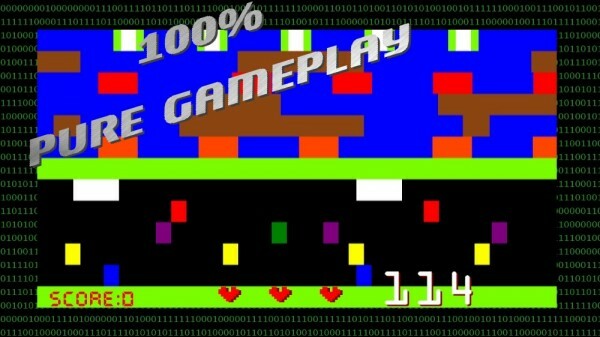 Glitcher is very reminiscent of Frogger and Flow Rider is getting from Point A to Point B while Point B is dark and hard to see. Five games, 80 MSP — not too shabby. Controls – During Glitcher, moving upwards with the analog stick felt like the character would jump ahead and fall in the river. Even in other games, the character moved a bit more than the direction pressed. It could be that the games are meant to be a little more punishing with the controls, but it just felt more frustrating than anything. Difficulty – It’s not overtly difficult to pick up but it can be to master. Some of the more complicated games will devote your patience in order to get the higher scores. 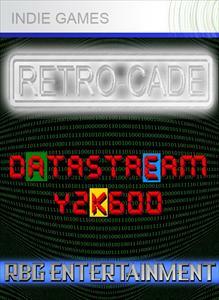 Overall, Retrocade: Datastream Y2K600 is an interesting experiment in retro gaming. It may not be perfect but the 80 MSP tag is something to consider with any indie game. 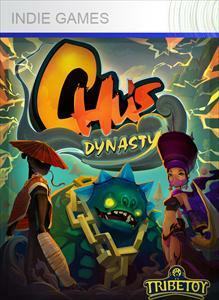 More people should play this game to witness the weirdness and creativity RBG Entertainment put in it. It’s not for everyone but definitely download the trial; everyone needs to experience the wackiness.